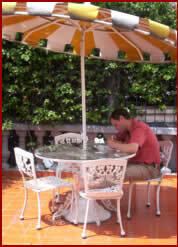 In 2006 Daniel Wells of Biblioasis asked Stephen to become General Editor of the Biblioasis International Translation Series. You can link here to the talk about literary translation that Stephen gave to celebrate the launch of this series. 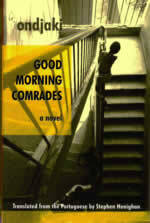 The second book in this series is Good Morning Comrades, Stephen’s own translation from the Portuguese of the novel Bom dia camaradas by the Angolan writer Ondjaki. 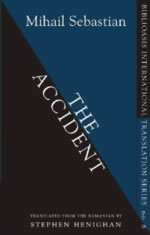 The sixth book in the Biblioasis International Translation Series is Stephen’s translation of The Accident by the Romanian writer Mihail Sebastian. This is the first work of Sebastian’s fiction to appear in English. To read an excerpt from this translation, click here. 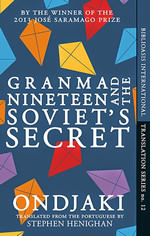 Stephen’s translation of Ondjaki’s Granma Nineteen and the Soviet’s Secret was a longlist finalist for the 2015 Best Translated Book Award. 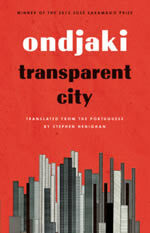 Transparent City, his translation of Ondjaki’s internationally bestselling novel Os transparentes, was published in April 2018. Over the next two years the Biblioasis International Translation Series will publish new work selected by Stephen and Biblioasis publisher Dan Wells by writers from, among other places, Quebec, Hungary, Germany, and Mozambique.